Self-employment, as an economic and labour phenomenon, contributes noticeably to the economy of many countries. 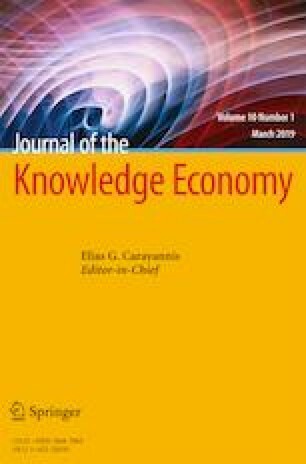 This paper presents an analytical review of the literature of 1970–2017, on the subject of self-employment and freelance as a new form of self-employment, and reveals tendencies and perspectives for the development of self-employment in context of the processes of globalisation and the forming and formation of a new (creative, knowledge and innovation) economy or a creative creativity economy. Gandini, A. (2016) The rise of a freelance economy, The Reputation Economy, pp. 13-25 https://doi.org/10.1057/978-1-137-56107-7_2. Gottschall, K., Kroos, D. (2007) Self-employment in comparative perspective: general trends and the case of new media, Gendering the Knowledge Economy, pp. 163-187 doi https://doi.org/10.1007/978-0-230-62487-0_6. Hanson, C.G. (1991). Deregulating the labour market, the rise of self-employment and the individual contract of employment, Taming the Trade Unions, pp. 59-68 https://doi.org/10.1007/978-1-349-21319-1_7. Madon, S. (2009) MIS for rural self-employment programmes in Gujarat, e-Governance for Development/ Part of the series Technology, Work and Globalization, pp. 104-120 https://doi.org/10.1057/9780230250499_7. Occupational Employment Statistics (2017). Dictionary of occupations, U.S. Department of Labor, Bureau of Labor Statistics. URL: http://www.bls.gov. Osnowitz, D. (2007). Individual needs versus collective interests: network dynamics in the freelance editorial association Qualitative Sociology, 30(4), 459–479. https://doi.org/10.1007/s11133-007-9070-0. Payoneer (2015) “The study of the income of freelancers”, Web-payment.ru — the highly specialized site about payment services, start-ups and e-commerce/ http://web-payment.ru/article/79/issledovanie-dohoda-frilanserov/ or https://www.payoneer.com/Downloads/freelancer_report_RU_2015.pdf (in Russian). Petrakis, P.E. (2014) The effects of cultural background and knowledge creation on self-employment and entry density rates, Culture, Growth and Economic Policy, pp. 195-203 https://doi.org/10.1007/978-3-642-41440-4_15. Pfeiffer, F., Pohlmeier, W. (1994) Income, uncertainty and the probability of self-employment, Output and Employment Fluctuations/Part of the series Studies in Empirical Economics, pp. 23-39 https://doi.org/10.1007/978-3-642-57989-9_4. Shevchuk, A., Strebkov, D. (2016) Heterogeneous self-employment and work values: the evidence from online freelance marketplaces, Contemporary Entrepreneurship, pp. 141-158 https://doi.org/10.1007/978-3-319-28134-6_9. Storey, D. J., Johnson, S. (1987) Small firms and self-employment in the OECD countries, Job Generation and Labour Market Change, pp. 8-38 https://doi.org/10.1007/978-1-349-18850-5_2. Uppal, S. (2015) Self-employment among Canadian seniors: trends and financial well-being, Entrepreneurship, Self-Employment and Retirement, pp. 160-186 https://doi.org/10.1057/9781137398390_8. Vijverberg, W.P.M. (1999) The impact of schooling and cognitive skills on income from non-farm self-employment, The Economics of School Quality Investments in Developing Countries/Part of the series Studies on the African Economies, pp. 206-252 https://doi.org/10.1007/978-1-349-15032-8_6. Wierzbicki, A.P. (2016) A vision of the end of work and the emergence of precariat, The Future of Work in Information Society/Part of the series Springer Briefs in Economics, pp. 37-45 https://doi.org/10.1007/978-3-319-33909-2_5//PrintISBN978-3-319-33908-5. Wit, G. (1993). Determinants of self-employment. Studies in Contemporary Economics. https://doi.org/10.1007/978-3-642-50300-9.